An inside look at a micro-installation of OpenStack at a California seminary: Three nodes and five or six instances at a time. 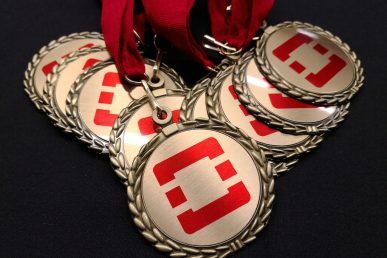 In the mountains of Northern California, where the people are a few and far between and nary a data center is to be seen, a small institution of higher education relies on OpenStack to keep its operations running smoothly. 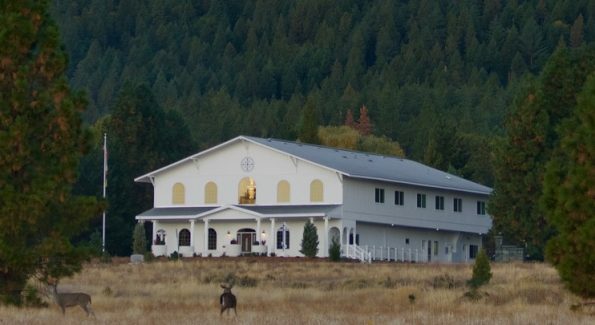 This is the St. Photios Orthodox Theological Seminary in Etna, California, managed largely by the monks of the nearby St. Gregory Palamas Monastery. The Seminary, founded in 2015, opened doors for classes in 2016. A year later, research was underway to build an IT system that could meet current needs and provide for the foreseeable future. 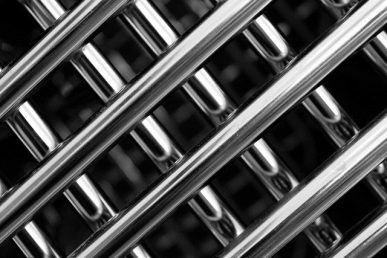 The original plan was to purchase several separate servers each running various applications on bare metal. A particular challenge in traditional, bare-metal systems is having all the different software packages coexisting peacefully. 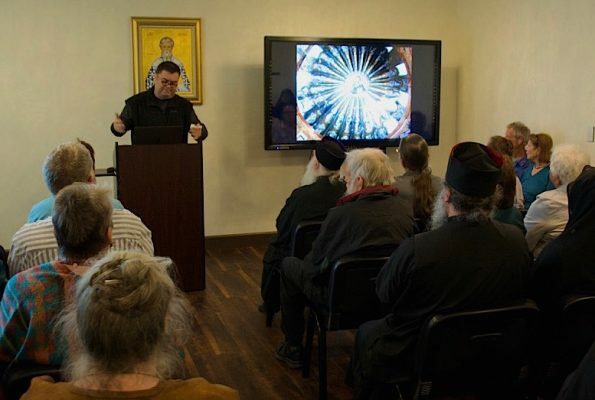 A public lecture at St. Photios. 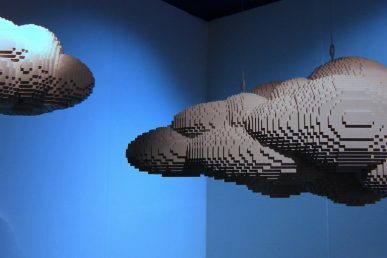 During the formidable task of juggling the different requirements to find the best compromise between usability, security and ongoing maintenance, I discovered, quite by accident, the OpenStack project and the concept of software-defined virtualized hardware immediately captured my imagination. Although I’ve been responsible for setting up websites since 1999, I only started setting up Linux hardware a year ago and slowly moved to VPS solutions because of the flexibility they provide. Thus began my odyssey into the world of open-source cloud computing. After wading through pages and pages of documentation and tutorials (of varying degrees of quality), and after numerous installations, hardware configurations (ultimately adding an additional compute node) and with the generous help of the OpenStack community, (having access to an international team of experts, from Europe to Korea, is absolutely incredible!) by January 2018 our OpenStack system was operational. It was very exciting to see the system working the first time! 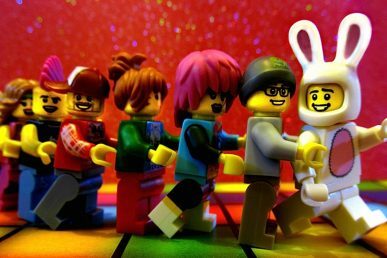 The incredible flexibility that OpenStack provides has proved worth the effort. Now, no compromises need be made in choice of software, each service can run on its own system eliminating compatibility problems and providing unprecedented stability. Services can be rebooted, upgraded and adjusted without taking other services offline. Ours is a micro-installation of only three nodes, one controller and two compute nodes. It typically runs five or six instances at a time with a handful of shelved instances ready to boot for testing or other needs. One of the most powerful features I find is the ability to create snapshots of running instances. I have been using this to test new features on production systems without risk of unplanned downtime. Either the changes made in the test system can then be replicated on the production server or the server can be switched out by simply reassigning the floating IP—fantastic! The SPOTS Cyber Command Centre. 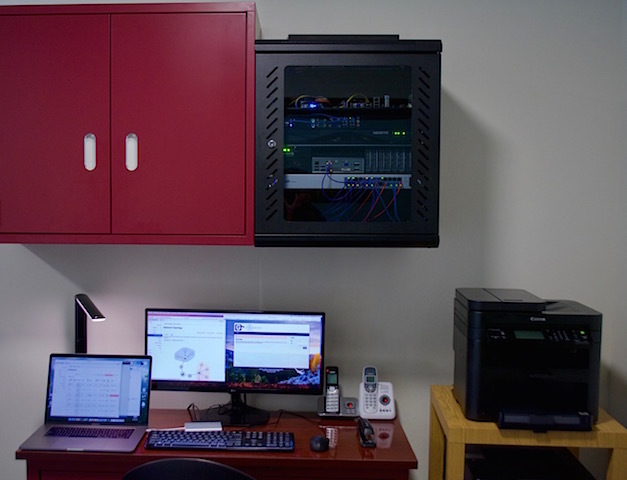 The Seminary’s OpenStack system, affectionately known as the SPOTS Cyber Command Centre, is running CentOS (the base OS), Debian, Fedora and Ubuntu to support the software that make up the SPOTS Management and Academic Network. The software services we are using to date include Koha ILS, Gibbon, iRedMail, Sandstorm and, of course, Apache httpd. The next step will be to install OpenStack Freezer to facilitate a comprehensive cloud backup system. I’d also like to expand to an HA system eventually with a complete cloud backup offsite. Right now I am just backing up essential files. If the controller goes down, I will face a system rebuild of several days. OpenStack is not just powering the mega data centers of the world, it is nimble enough to provide amazing value in even the smallest network. All photos courtesy Father Vlasie.